With only about a week left on The Brothers, Nate and I are taking advantage of our dwindling time here to finish up our work and enjoy this incredible experience. 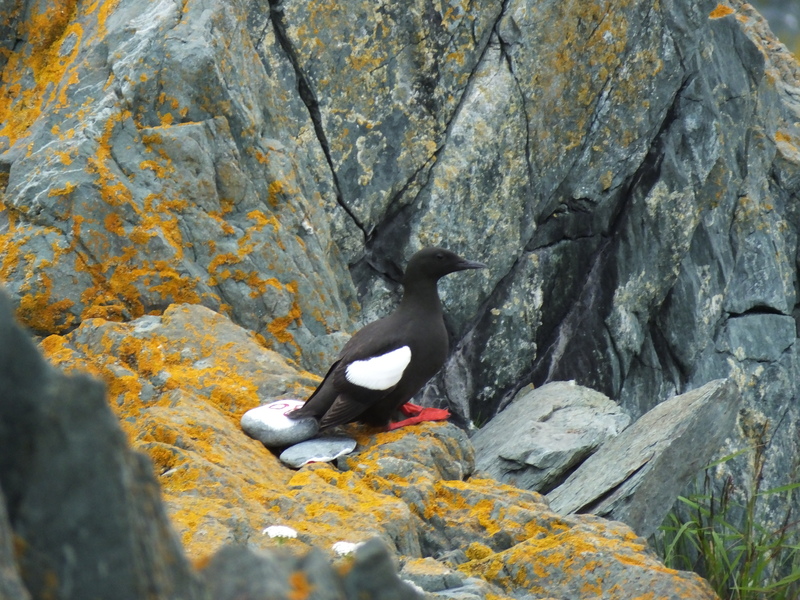 Although the weather recently has not allowed us to do our morning counts of the birds on the island, we have been very busy monitoring the black guillemots chicks. Some of the chicks are well over 300 grams now and many are developing flight feathers. 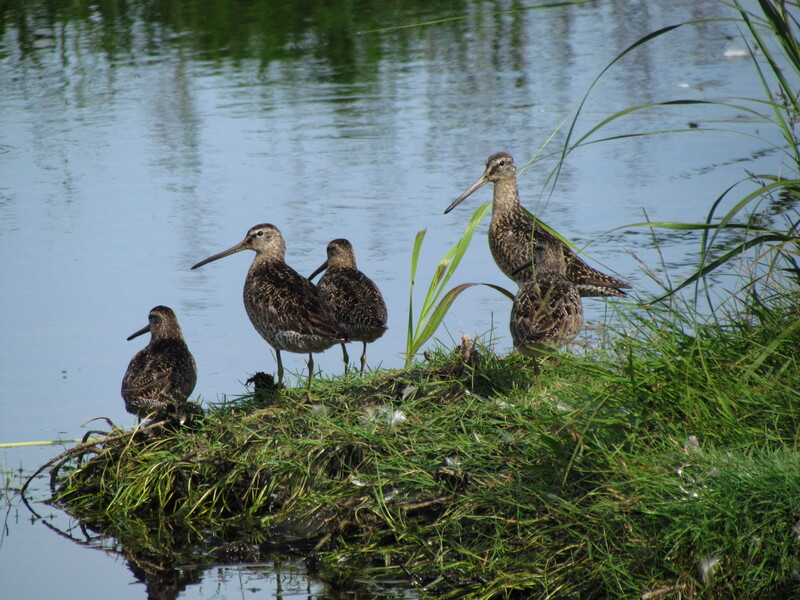 While there are burrows with chicks growing flight feathers, we also still have eggs that have not hatched yet. In the past couple of weeks we have been monitoring about 70 different burrows, with the majority of them on Eastern Brothers Island. 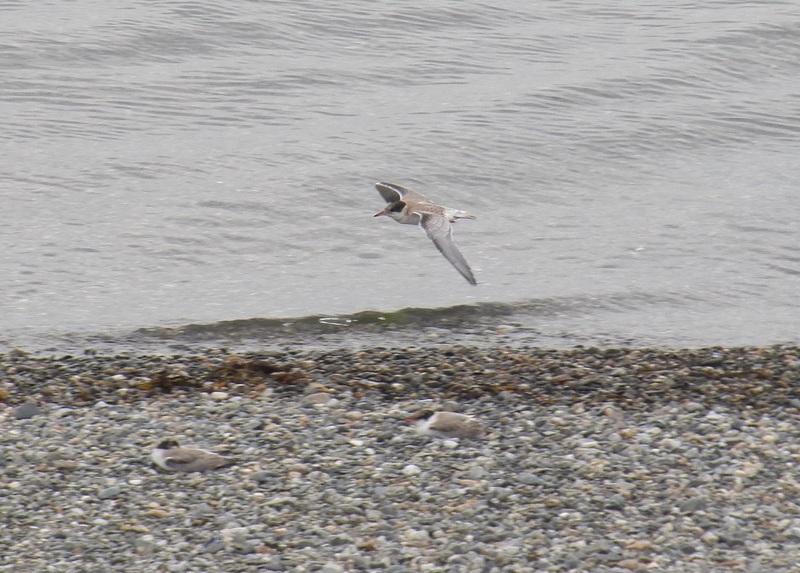 Out of our 2 pairs of Terns that both had 3 chicks hatch, all 3 Terns from the first nest have successfully fledged. The second nest chicks hatched later, however, we believe that the majority of the chicks from the second nest will fledge soon as well. Although we only had to pairs of common terns nest on Eastern Brothers this year, their average clutch size was larger than any other year and the island. Also The Brothers has been mainly predator free this year for the first time. We are confident that this island will someday become a large tern colony as long as it stays predator free. This is has been an awesome experience for the both of us and its gonna be a sad day leaving the island for the summer, but until then we still have a lot of work to do! Greetings and salutations from Ship Island! It is getting down to the last couple of days. The majority of our chicks have fledged; after checking them today, we have only 9 chicks total in our productivity plots (from 73 hatched). We conducted our remaining bird surveys of Trumpet and the Barges and counted lounging harbor seals for the last time. The next few days will consist of taking down empty productivity plots and slowly packing up our gear. I am eating my way through these unhurried days. One of Ship’s first chicks. Going to miss these fluffy babies. A tern I discovered after Mark casually reminded me to survey the Barges. 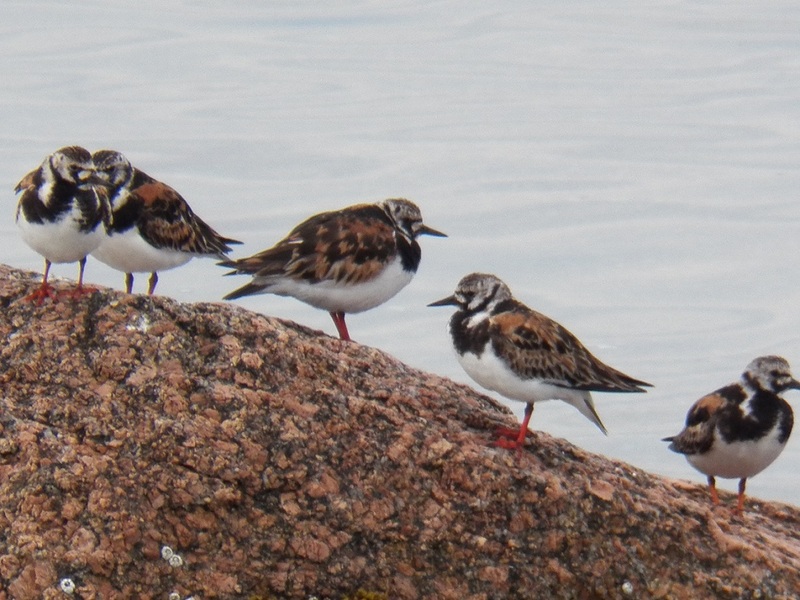 The nightly shorebird walks have become a focal point of entertainment. Familiarizing myself with the migrating shorebirds is fun in its own right, but the walks coincide nicely with dusk settling over Blue Hill Bay. When you’re working every day, it’s surprisingly easy to forget you’re living on a beautiful island. I’m making sure to take in everything here for the last time. 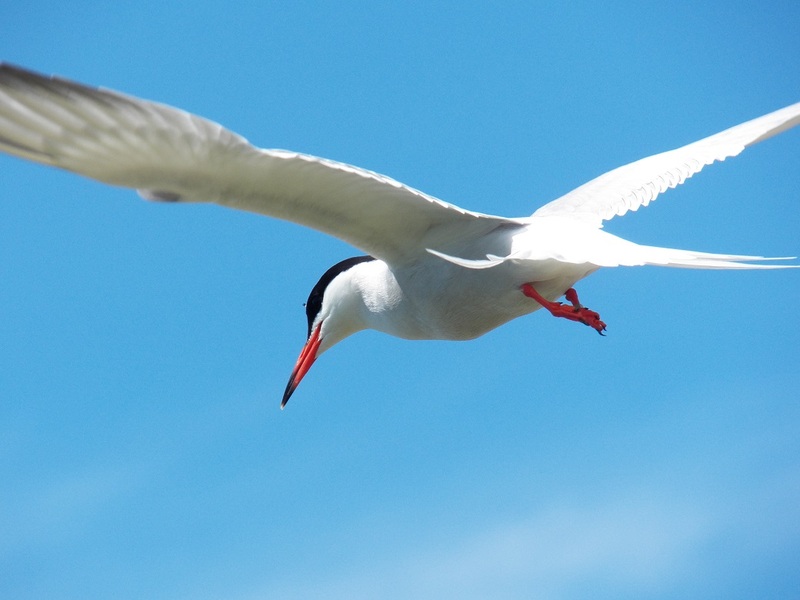 The Common Tern colony on Ship Island increased significantly this year, from 393 nests counted last year in the GOMSWG Census to 673 this year. The productivity rate for our colony (the number of chicks to fledge per nest) has been estimated to be at least 1.27, meaning that more than 850 chicks have successfully fledged this year so far. Hopefully the colony will return in such numbers again next year and for years to come. 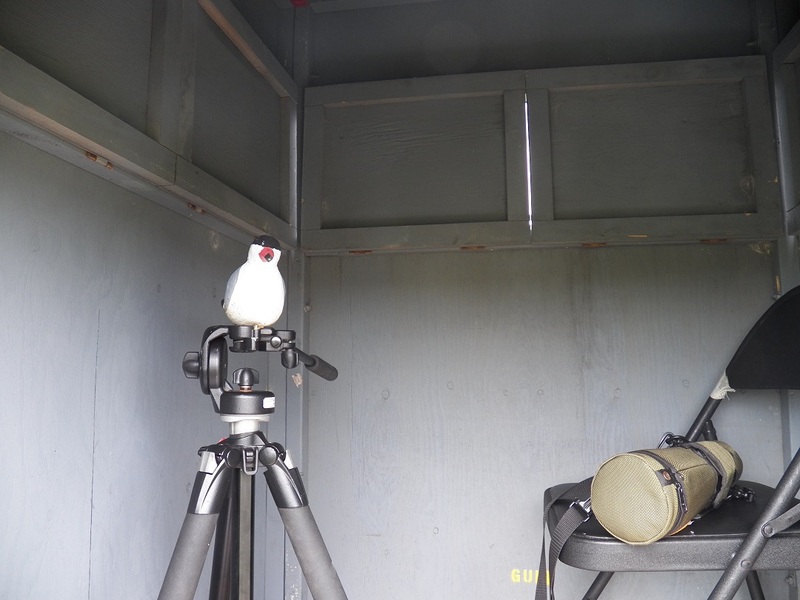 It’s been an incredible process monitoring the terns. This was my first season with seabirds and words can’t really describe how much this summer has meant to me. It’s hard work and long hours, but it is the most rewarding job I’ve had. Looking back at Ship Island for the last time will definitely be a somber, reflective moment. But, I’m also looking forward to eating my weight in ice cream. That’s it for this season! Best of luck to our fledglings! The past few days have been quite eventful with 2 of the 3 tern chicks in nest 1 fledgling and many guillemots chicks to band and measure, The puffins are around Eastern Brothers almost everyday and more and more shorebirds are passing through on their trips south. Many guillemots are developing pin feathers now, and it will be interesting to watch them slowly give way to true flight feathers. Several are already approaching 280 grams and hopefully we will be here when they fledged. The fog has been in thick the past few days halting our morning counts, but still there is a mysterious beauty to it. Today on Eastern Brothers James and I were greeted by several puffins, one flew quite close and landed within the puffin decoys on a nearby rock. Hopefully these birds will choose to return to the islands next year to breed, starting what may one day e a thriving colony. 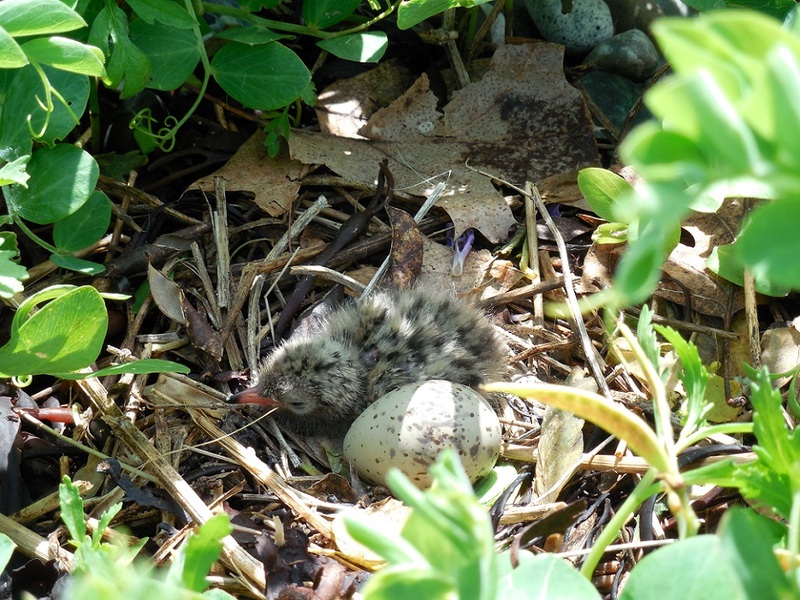 With the season’s end coming up rapidly, the daily duties of monitoring seabirds also become less time consuming as the tern chicks start to take flight and go out on their own. While it might be sad to think about not being able to work with these feisty little birds in the near future, it also brings about a feeling of elation and accomplishment, knowing that we put a huge effort into helping them survive the trials of hatching, growing, and finally fledging. 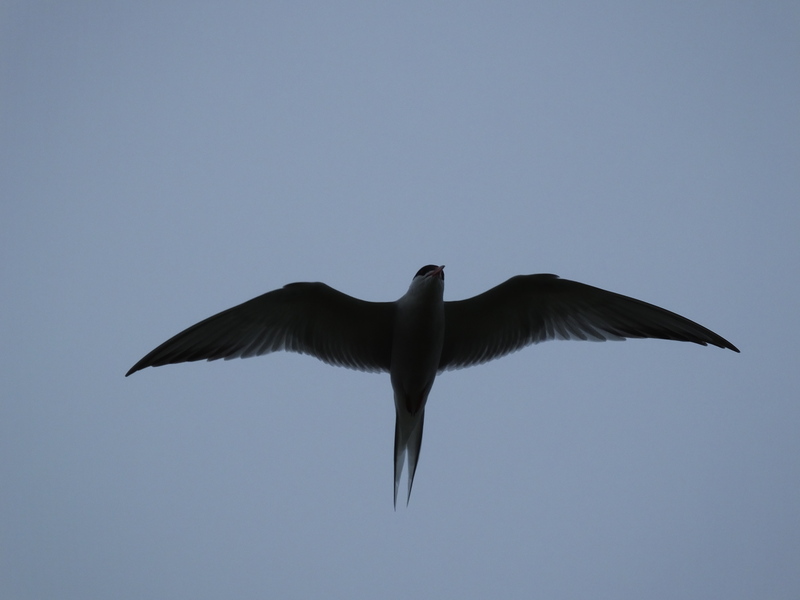 But less time in the tern colony means more time for birding! 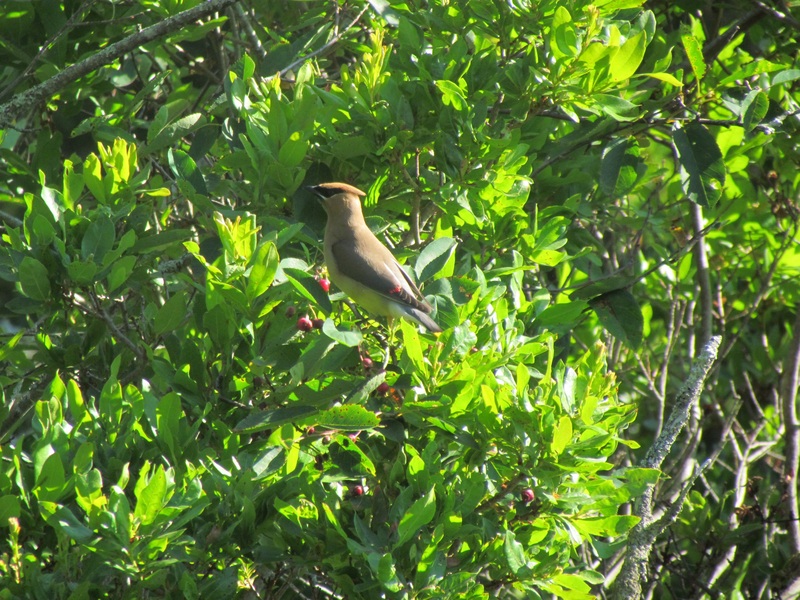 And with Metinic Island having quite a few acres of forested area to go along with the vast amount of grassland and coastal habitats, there are plenty of birds to see. We’ve had a rare Rusty Blackbird show up, an out-of-season Long-tailed Duck, and plenty of other migrants and local birds. 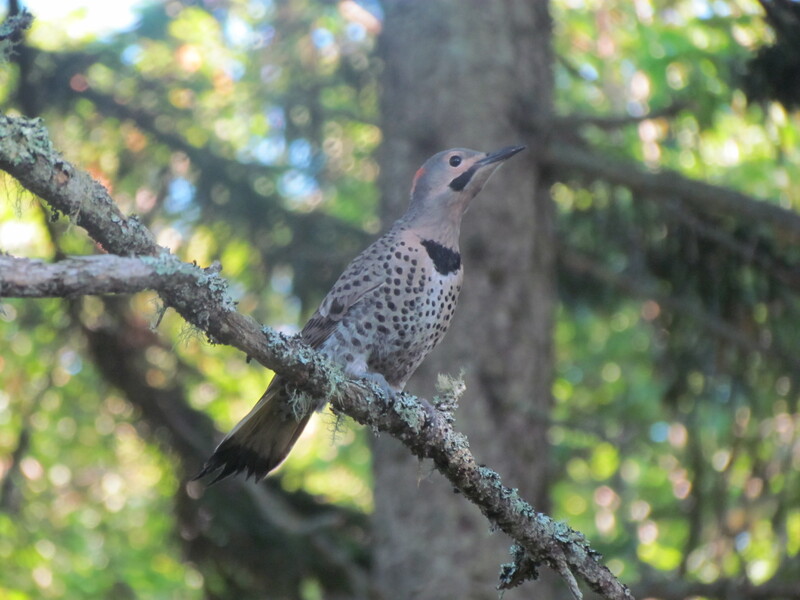 We’ve been able to identify over 80 species of bird out here so far, and there are quite a few others that we haven’t quite been able to put our finger on. Metinic Island has been a great place to live and work over the past couple months, and I’m sure we’ll be sad to leave it once the field season ends, but we’ve also been able to see a lot of what the Maine coastal islands has to offer and have learned a lot along the way. With the end of July hurtling towards us and our colony, our tern chicks have transformed from little balls of fluff to fledglings. By this point, the chicks have completed the awkward phase of growing out their downy feathers and now have their sleek adult feathers. 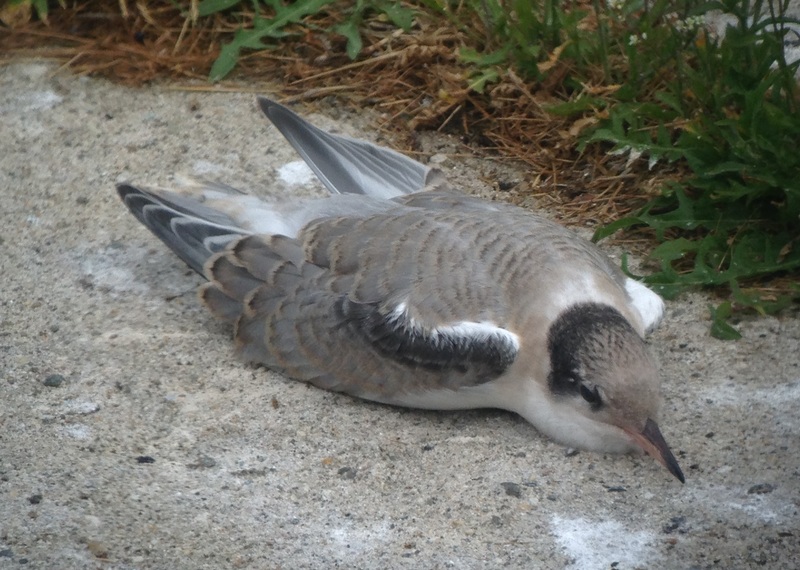 The feathers on the upper wings, however, are a patchy gray-brown and the black caps seen on adults are more of a thick ring around the base of the head. For a week or two now, we’ve seen them stretching out their wings, hopping as high as they can. Every once in a while we’d see one attempt a feat worthy of praise, only to tumble adorably (and without injury) to the ground. These chicks are tenacious and it serves them well. For what starts as a few moments off the ground turns into a brief aerial journey of a couple feet. Now we’re seeing them fly throughout the colony! Although not as graceful as their adult counterparts, they’re gaining confidence in their abilities. It’s really an amazing process to witness and be a part of every day. Fledgling in flight! Go lil buddy! We’ve attempted “sweeps” of the colony. 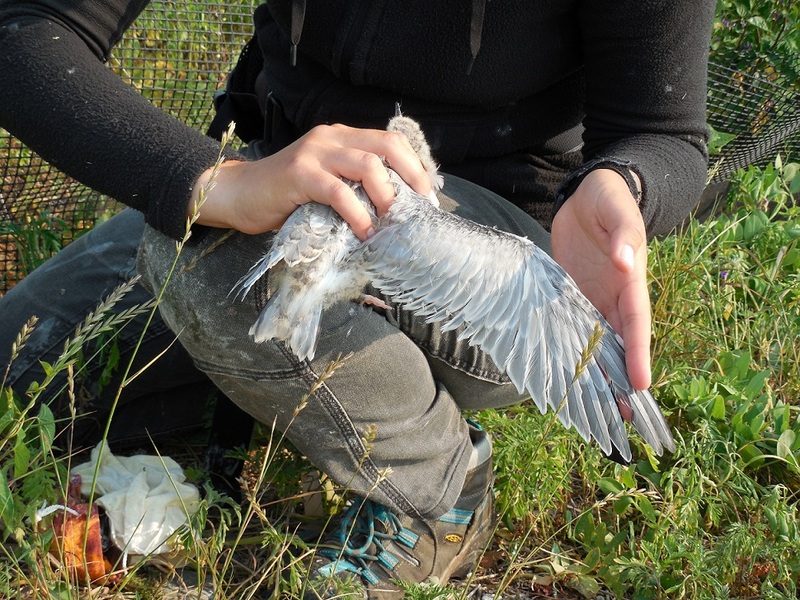 While Julia was taking care of Ship in our stead, she banded over a hundred chicks in one stint. Mark and I are picking up where Julia left off, chasing down older chicks that have not yet been banded. It’s a lot of digging through grass, running and sliding, sometimes for an already banded chick or a chick that can fly but only chooses to do when you’ve already sprinted halfway down the beach. While catching your breath and picking the rocks out your shoes, you can’t help but smile as you see the little birds flying away. That’s it for this week! See y’all next Sunday!